Stuart, please tell us about your company. For more than 30 years, Kratos has been at the heart of the space community’s mission assurance. and control, interference detection and mitigation, payload and signal control, and network monitoring & control for defense, intelligence, government and commercial satellite, and aerospace applications. EPOCH IPS is the most widely used C2 system and 90 percent of U.S.-based space missions use Kratos products, solutions, and services. Would you please describe Continuous Wave (CW) interference ­— what are the problems this causes? and frequency space as the desired signal and is one of the more common forms of interference that threatens mission success. Other sources of interference include modulated satellite signals, GSM, and radar. CW interference is typically caused by equipment failures, as well as being the most common form of intentional interference because it is so easy and inexpensive to generate. Artistic rendition of the Intelsat-35e EpicNG satellite. CW interference, like all forms of interference, causes the desired signal to be degraded, often to the point of being unusable. For example, on a satellite video transmission, CW interference can cause everything from periodic pixelation of the video to a total loss of the transmission. SDTraditionally, CW interference has been difficult to deal with, especially when generated intentionally. An exciting industry innovation is the development of signal cancellation capabilities originally introduced to help increase capacity in duplex circuits. New signal cancellation technology products from companies like Kratos are now allowing the CW signals to be canceled at the receive sites, such that the desired signals can still be processed even in the presence of intentional CW interference. There are various thoughts on how HTS will affect interference — one is that the small beams of HTS are more difficult to jam, which will reduce intentional interference. The nature of HTS and the user’s application of VSAT technology will inadvertently generate the majority of interference seen on HTS. Placing so many high-powered beams close together, targeting mobile VSATs with smaller antennas that require dynamic pointing, increases the likelihood of interference from misconfigurations and miss-aligned antennas. According to Euroconsult, more than 100 new HTS payloads and satellites are expected to launch over the next decade. Over the next three to five years, if not sooner, everything about our industry will change. HTS will massively increase the amount of capacity, the flexibility to respond to market changes, and the price of that capacity will dramatically decrease. Additionally, the types of services provided will grow into a wide range of new applications. How operators will sell, deploy, and manage these new services will also change. A great example of this is Intelsat’s Epic satellites. They will enable incredible new data services to both fixed and mobile platforms supporting higher data rates at lower costs than traditional, shaped beam satellites. 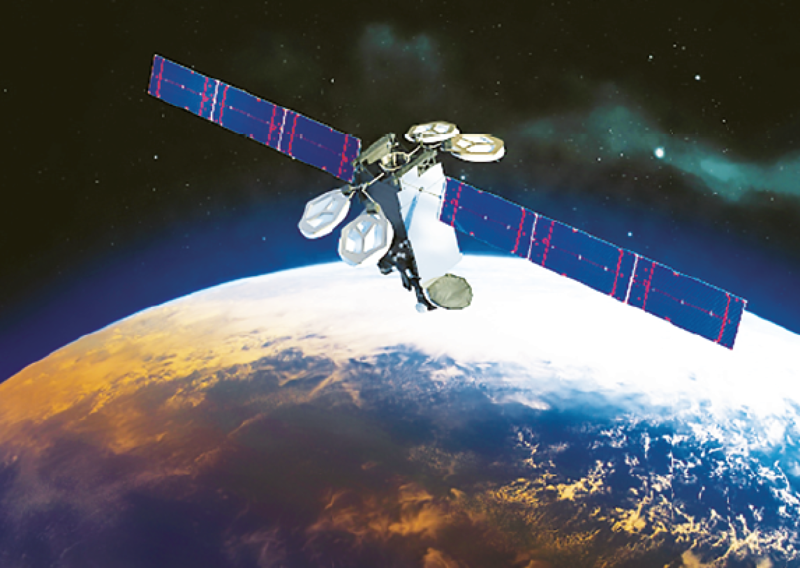 Intelsat’s Epic satellites also provide impressive onboard routing flexibility to allow Intelsat to offer both fully managed services as well as selling capacity to third party managed service providers. This type of on orbit flexibility will open up new applications and services to the SATCOM industry. The needs of customers are rapidly evolving, requiring new ground system technologies and capabilities. New ground architectures and services, such as Digital IF, for site diversity, are needed to centralize operations, extend network hubs to antennas at remote teleports, and antenna combining to maximize clear-sky performance are becoming available to improve mission assurance. As stated previously, this is going to be a most exciting time for our industry. 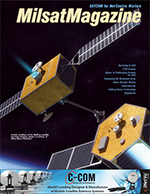 The preceding article is courtesy of Intelsat General’s SatCom Frontier infosite and their editorial team.